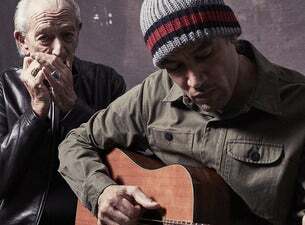 WEDNESDAY 3 FEBRUARY, 2015 – Ben Harper & The Innocent Criminals and Live Nation today announced that the Call It What It Is Tour dates for Australia and New Zealand have been rescheduled for later this year. Unfortunately we need to postpone our upcoming tour so that we can put the finishing touches on our new album. We can’t wait to see you in November/December. Tickets purchased through Ticketmaster for the original shows remain valid for the new dates. If you are not able to attend the new shows and would like to obtain a refund, please email us here. Our FAQ Page lists most of the common questions and latest event info. Add it to your bookmarks and stay on top of the latest news regarding your event.